Buying a property in Bracknell: Use our convenient checklist to avoid potential setbacks and make the process as hassle-free as possible. We have published a detailed blog on the difference between freehold and leasehold for more information. It is important to check the period of time that the lease property that you are purchasing. If the time remaining is for less than 50 years for example, it’s worth bearing in mind that you might struggle to get a mortgage for the property purchase. Many property purchasers decide to opt for a mortgage lender valuation survey, with the expectation that it will highlight potential defects. However that is not the case, our advice to all conveyancing purchasers is to instruct a full structural survey so that you are fully aware of what you are buying. It is important that you avoid any potential issues that could lead to maintenance and repair costs associated with the hidden problems. Our preference at Harrison’s Solicitors is to be made fully aware of any expectations that you may have, examples including arrangements for fixtures and fittings. We can then make appropriate provisions for this within the contract. When an agreement has been made between the parties involved in buying and selling the property, part of the offer process is for the property to be taken off the market immediately. This should in principal decreases the possibility of the seller getting a higher offer and pulling out before contracts are exchanged. When you see a property that you like, you can fall in love with it very quickly. We advise that you take a step back and check that understand the commitment you are making. The structural survey will provide assistance in understanding the property condition. However, you do need to get a general fell the surrounding area. It’s a useful idea to visit at different times of the day and night to see if there is any change in noise and traffic levels. Talk to the neighbours. When starting your property purchase journey, it is essential that you have an agreed mortgage in place. This in itself can be a lengthy process which could create delays. When contracts are exchanged for the property purchase, buildings insurance is required. It is at this point that you are committed to the purchase. The mortgage lender may also require you to take out life assurance. As the conveyancing process is long, we advise that you use a solicitor that is experienced. 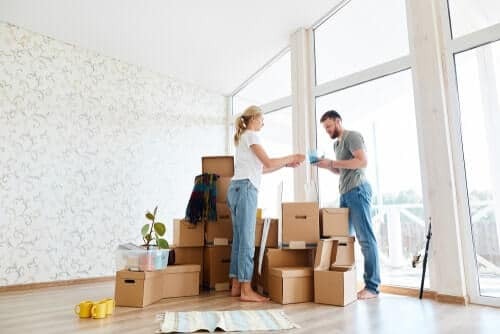 We at Harrison’s Solicitors are an established conveyancing practice with the knowledge and patience to make your property sale or purchase stress-free as possible.